When travelling to a new city, the best advice I can give you is, listen. I know it may seem obvious, but receiving great advice gives you the closest thing to a 100 per cent happiness guarantee you can hope for. You can plan your day and head out knowing that someone has tried out your impending café, restaurant, or experience for you. 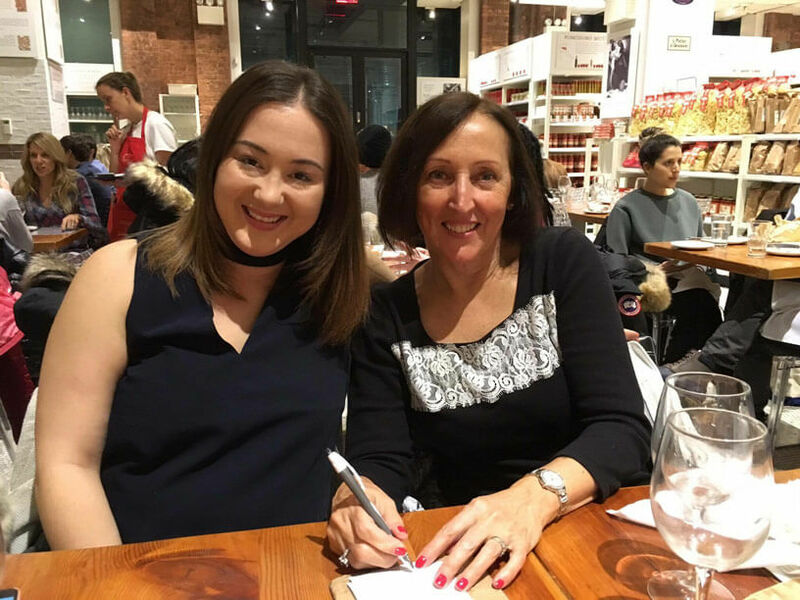 You can’t do it all, but if someone recommends something to you, especially in a place as busy and diverse as The Big Apple, you know it must have impressed the pants off them. This place has to be the BEST place I have ever come across for comedy. In fact, it’s often home to comedians passing through, such as James Corden, Jerry Seinfeld, and Amy Schumer. From memory, there were five or six acts lasting around 10 minutes each – plus an MC that was possibly just as funny as the comedians themselves. The best bit? Not ONE of them sucked, we were falling off our chairs in between mango margaritas. Just don’t sit in the front row if you embarrass easy. You know what happens. One of those cafes where you spend an hour looking at the menu because everything is just so darn good. Aussies run it, but as an Aussie traveller, don’t let that put you off – they bring the best parts of every Aussie café to NYC. The line goes out the door and for a good reason. 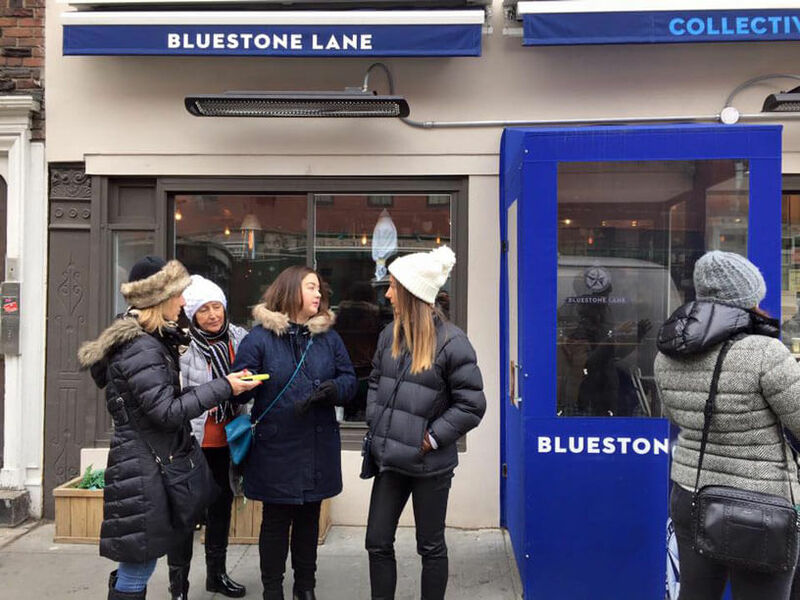 Nestled in the west village (and Midtown, and Bryant Park, and Noho, just to name a few) the blue awnings will draw you in, especially on a cold winter’s day – and it’s just as well, the coffee is TDF. 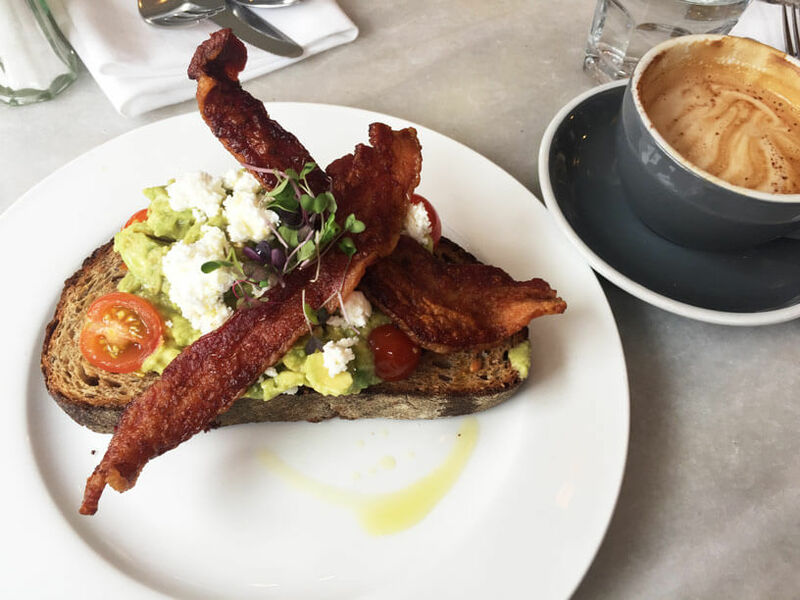 But what I love MOST is the handy way they deal with your menu indecision, which is sure to happen when it comes to deciding between their hero dishes; Collective Granola and the Avocado Smash. They do the Brekkie Board, which is a half serving of each. GENIUS, much? No-one recommended I go to Bloomingdale’s and find one of the nicest restaurants of my ENTIRE trip, but once we headed into the famous department store in midtown Manhattan, we began seeing signs pointing towards Le Train Bleu and were urged on by the sales clerks to check it out. We wandered up the stairs and came across a quaint restaurant remodelled after the 19th-century luxury French night express train, the Calais-Mediterranée Express. It’s incredible, with a menu to match, from seasonal soups and salads to classic French sandwiches, like Croque Monsieur. DELISH. Worth a visit, if only for the crème brûlée. Eataly is like nothing I’ve ever seen before. It’s like the most spectacular version of a food hall you’ve ever seen, but every corner has an adjoining restaurant. 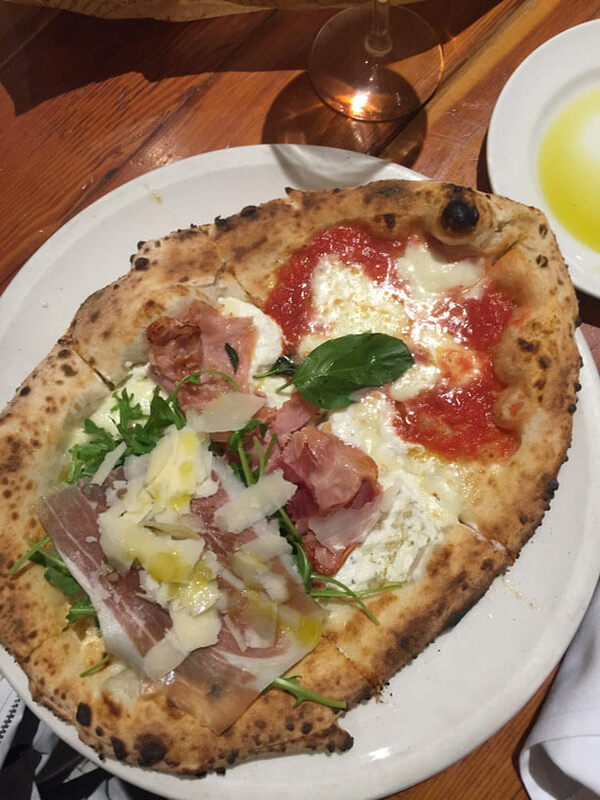 Located right near the Flat Iron, Eataly is the place to go when you’re after something delicious – but you can’t quite figure out what. The relaxed vibe means you can stop by the Lavazza counter for an espresso while you’re waiting for your table at La Pizza & La Pasta and sipping on some vino from the wine bar. Here’s a hint, go for the Fru Fru; an oval-shaped pizza with three separate toppings – but don’t you dare leave without trying a pasta. The crab linguine is superb! Don’t forget to pick up a panna cotta on your way out! This could well be the most interesting, intriguing thing I’ve ever done. 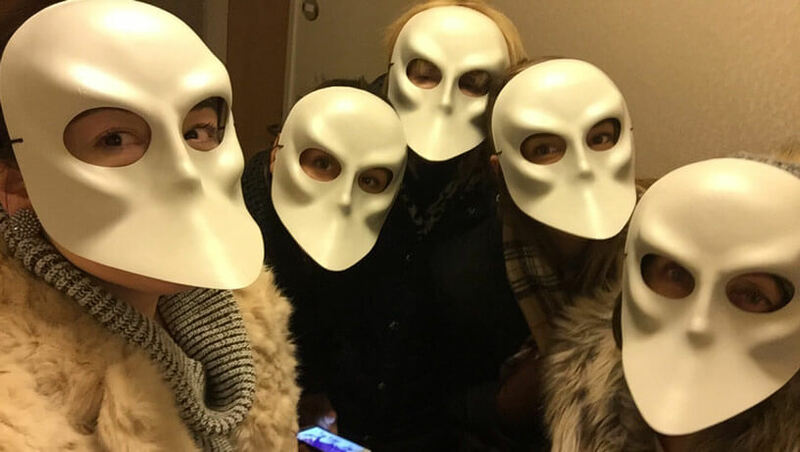 Based on the Shakespearean play, Macbeth, Sleep No More is an interactive show where guests don white Shakespearean masks and enter a four-story hotel, moving through the different rooms, seeing different scenes from the play being acted out in real life by human actors. There is no sound, and you’re encouraged to move around the hotel at your own pace, viewing the different characters, who also move around the hotel as you follow them. It’s the most whimsical experience you’ll ever… experience. At the end, everyone is led to the same room for a finale like no other you’ve ever seen before. Just make sure you can work out who is part of the play and who’s part of your group! Get to The Comedy Cellar 40 minutes early if you want a decent seat. It may give you a show start time, but if you're going to get your drinks ordered and your backside in good view of the comedians, you’d do well to show up early – they don’t tell you that when you book. Head to the Bluestone café out of peak times to avoid having to queue up, especially if you visit during winter and it’s FREEZING outside. On your way to or from Le Train Bleu, stop by Magnolia Bakery on the ground floor and treat yourself to a serving of their FAMOUS banana pudding. It’s worth it. If you don’t fancy eating out every night, stock up some goodies from the deli section of Eataly, and make yourself an impressive antipasto platter in your room before heading out one night. Be sure to check out the Eataly website and see if they have any special events on; they regularly have cooking classes, rooftop events and events like ‘Rosé week’. Stick together when you leave the elevator on the different floors at ‘Sleep No More’. The staff take pleasure in letting one person walk off and then shutting it off and moving to the next level, leaving you on your own, which can be eerie, okay, SCARY.